Penetradar Corporation used ground-penetrating radar to scan the Veterans Memorial Bridge today. Several radar devices were used to investigate aspects of the bridge's construction, including the location and condition of rebar buried within the bridge's concrete deck. Two technicians used a portable device to scan sidewalks. They also used a van with four units mounted on the front to scan the roadway. 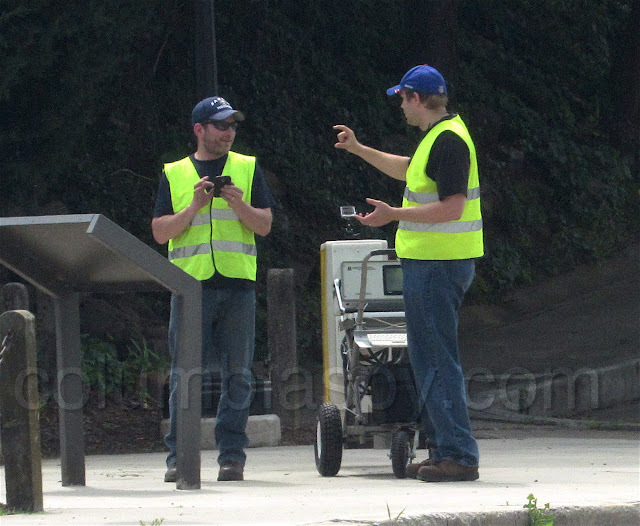 Columbia Spy caught up with them on the Wrightsville end of the bridge. According to the technicians, a month-long process will follow today's collection of scan data about the bridge. All information will then be relayed to RK&K, an engineering firm, to be analyzed in conjunction with PennDOT, as a possible first stage in an upcoming bridge renovation project. According to PennDOT officials, the planning phase could take four to six years. Penetradar technicians discuss the project. 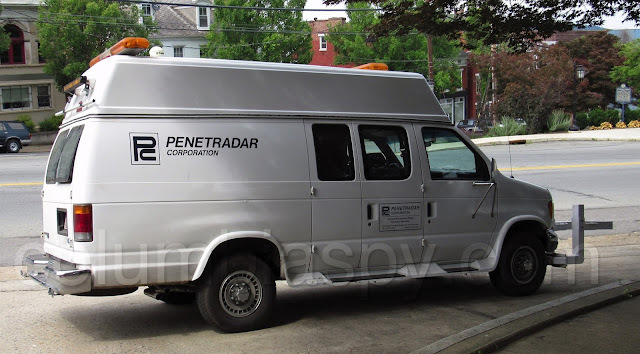 Penetradar van at the Wrightsville entrance to the Veterans Memorial Bridge. 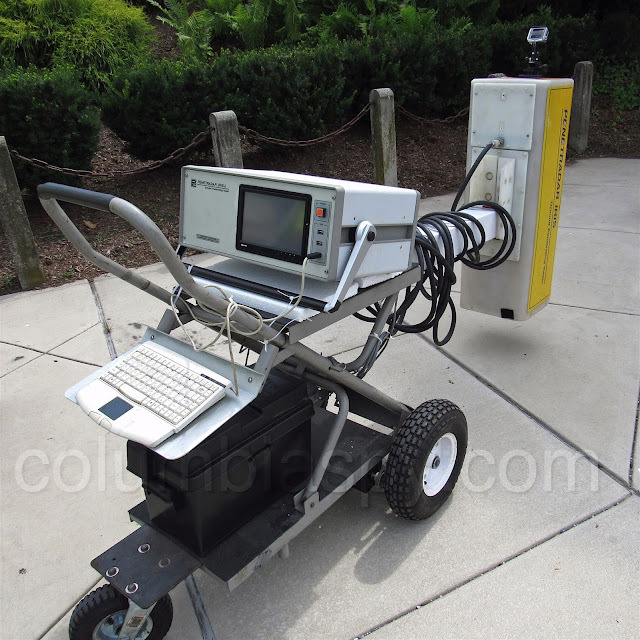 A portable radar unit used to scan the bridge sidewalk. 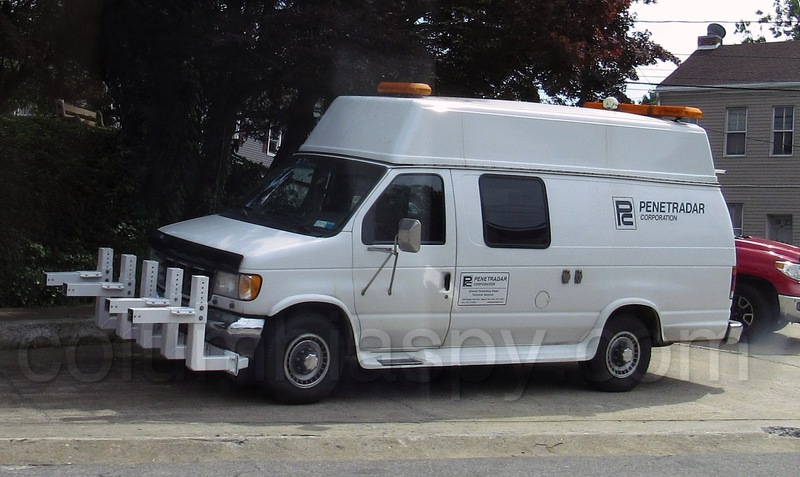 Brackets on the front of the van hold four radar units for scanning roadways.